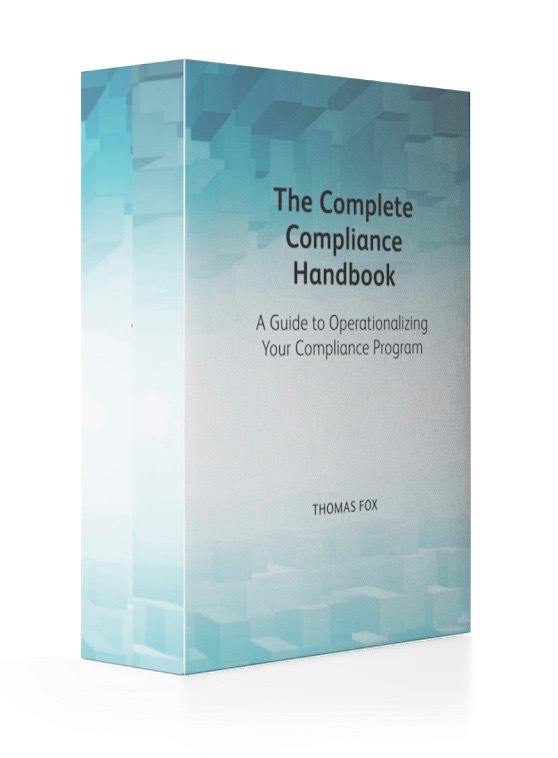 Tom Fox, the self-proclaimed “FCPA Evangelist” and my friend for years in compliance news and commentary, just published a new book: The Complete Compliance Handbook: A Guide to Operationalizing Your Compliance Program. Fox was generous enough to supply me with an advance copy, so today we have a review of his book in case you’re looking for a comprehensive, go-to resource to put on your shelf. First, be sure your shelf has proper brackets and support: the book is big, a whopping 554 pages. That’s because Fox intends it to be a one-stop reference work for whatever challenge you might have in building or running a compliance program — and compliance programs do a lot of things. So just about every subject you could encounter is in Compliance Compliance Handbook somewhere. The book is divided into 12 chapters that constitute the major challenges of building a compliance program: operationalizing compliance through HR, for example; or crafting written standards, or improving third-party risk management. Each chapter is divided into “days” — as in, 21 days to better written standards — where the day’s content is a single essay that you could read in one sitting, with time left to stare out the window and ponder how to put that day’s lesson to work in your specific organization. Now, the price ($395, although you can pick up a copy on Amazon.com for $360) will give people pause. The question is how often you’ll end up consulting the book, and how much it can spark an idea in your head that leads to some useful advance in your compliance program that will be worth it. The Complete Compliance Handbook definitely makes a credible argument that the expense will be worth it. The lessons are generally practical and specific, often taken from a notable enforcement action involving an actual company. For example, Day 10 in the “More Effective Internal Controls” chapter looks at internal controls to govern third parties. Fox examines GSK and the bribery scandal it suffered with its Chinese operations circa 2013, which resulted in Chinese regulators hitting GSK with a $500 million fine. The day’s lesson ends with 10 questions a compliance officer can ask about its third-party operations, plus three key takeaways. There’s a lot of content like that in the Complete Compliance Handbook. The book cites laws such as the Foreign Corrupt Practices Act or the Bribery Act where necessary, but fundamentally this book isn’t about what the law says. It’s about how to build an actual compliance program, at an actual company, with actual human beings. That’s the guidance that compliance officers need: how to make programs work. The advice Fox offers is drawn from the experiences of other companies, most of which learned their lessons the hard way. 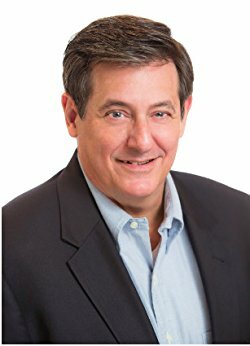 He quotes liberally from compliance professionals and from other guidance, such as the Justice Department’s “Ten Hallmarks of an Effective Compliance Program.” Taken altogether, the material is grounded wisdom any compliance officer can understand and at least begin to put to good use. As you can see at the top of this post, I also have a podcast I did with Fox about the book. It’s only nine minutes long and worth a listen if you want more discussion about building compliance programs, but I’ll close with one more insight from Fox. On his blog, the FCPA Compliance Report, Fox has a knack for tying current compliance events to famous, semi-famous, or outright obscure people from decades past. Last week it was the passing of Tom Wolfe and the Justice Department’s new effort to reduce corporate penalties. There was that post last year about the passing of Walter Becker (one half of Steely Dan) and uses of artificial intelligence in compliance. Sports figures, musicians, artists, writers — they’ve all turned up in Fox’s blog. Well, I asked Fox, why do you do that? Couldn’t say it better myself. It’s one of the many reasons I love this field, and so does Fox.